For a brief moment I thought Council had lashed out and spent some money on Christmas Decorations. I've wasted weeks of time in years previous trying to find some evidence of public Christmas Cheeriness and I thought things were looking up. 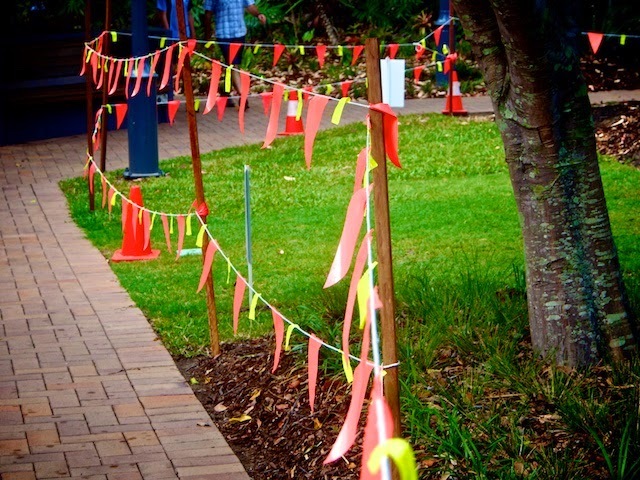 The bunting is there to keep people off the (new) grass. Bah Humbug!